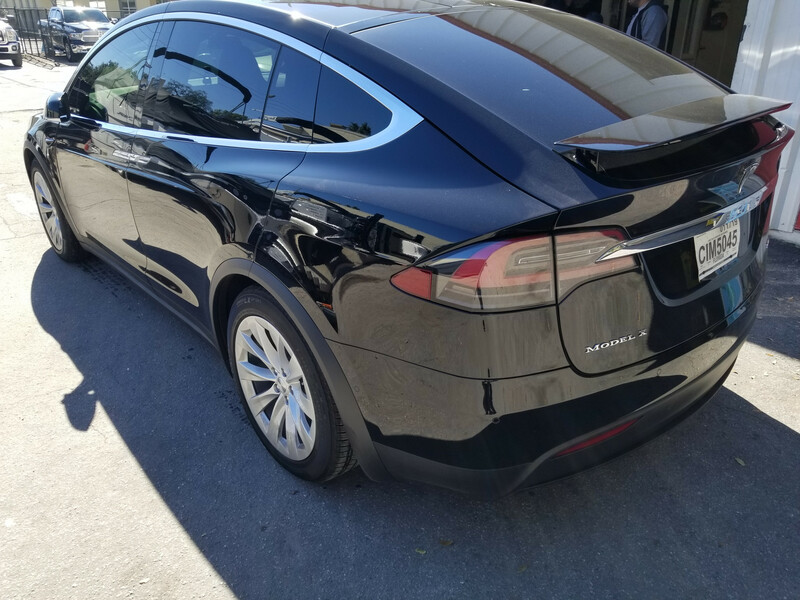 We recently tinted this Tesla Model X with top of the line ceramic window tint by Formula One Llumar. 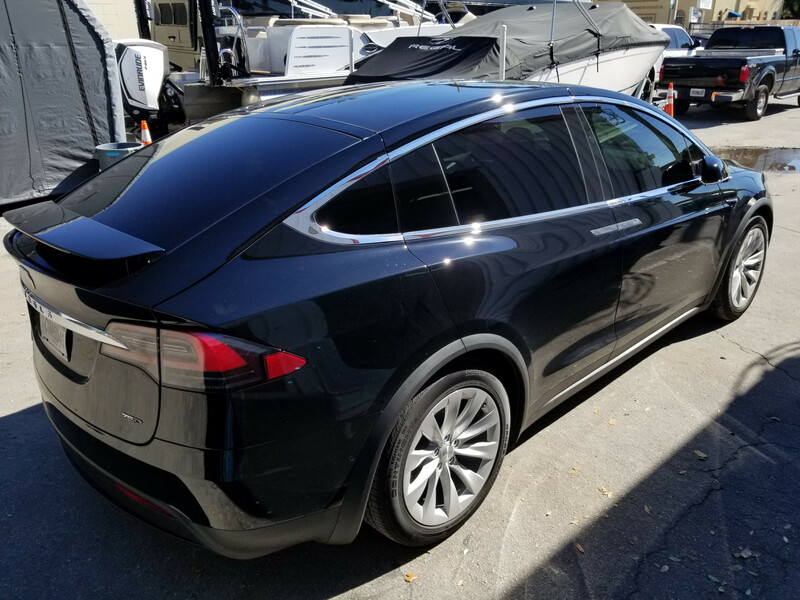 The ceramic window tint line is called Stratos and it is among the high heat rejection car window tints on the market, making it the perfect window tint for this Tesla Model X. Formula One Stratos is available in all shades, from dark to clear, and regardless has high heat blocking technology and a 99.9% UV protection. It’s no secret that Florida gets very hot. Getting the best window tint to block the most amount of heat simply makes sense. Formula One Stratos is among the highest heat blocking window tints available. Don’t take our work for it .. we have a window tint demo where you can compare different window film options and feel the heat that passes, or doesn’t pass through the glass. You’ll be blown away with how much heat even clear ceramic window films will block. 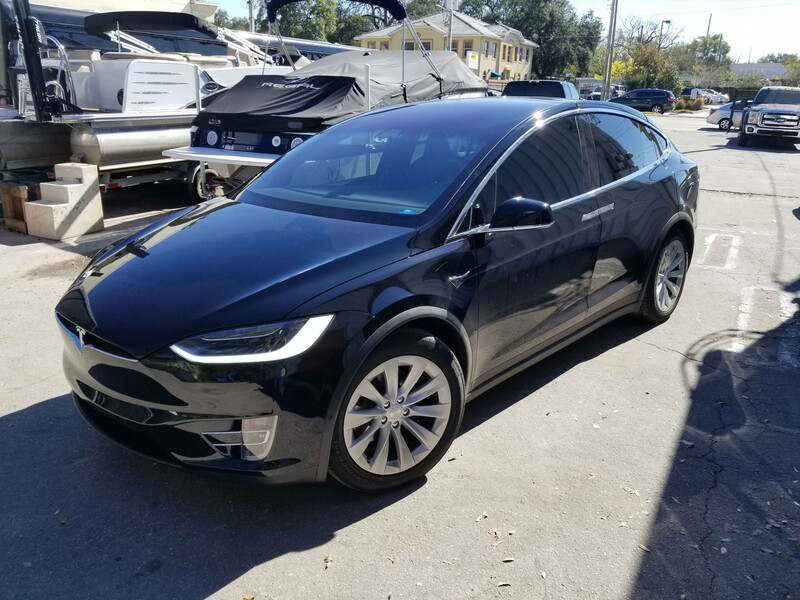 All of the car window tints we carry have a 99.9% UV protection, keeping UV A and UV B rays from passing through the windows and possibly damaging your interior and even your skin.